The face of Swadeshi artistic movement, the Bengal School of Art, Bose projected Indian subjects in his art that drew from the Bengali folk traditions. New Delhi: The Bengal School of Art emerged in the 20th century, running parallel to the sporadic and spontaneous freedom movements erupting in different parts of the province. 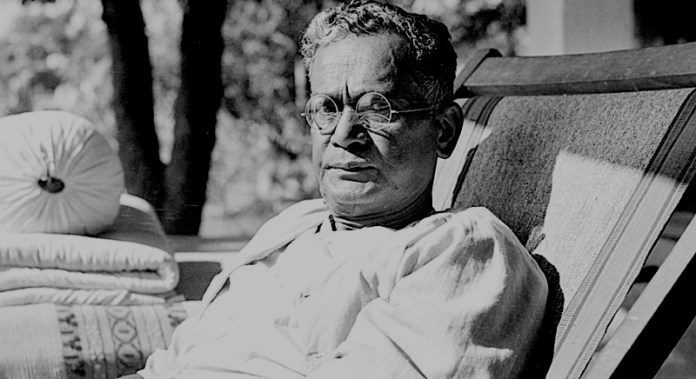 Taking on a Swadeshi spirit from there, artist Nandalal Bose spearheaded this nationalistic artistic movement to celebrate the spiritual and artistic Indian traditions. The movement rejected the academic tradition that glorified British artistic styles to look deeper within India and discovered the grandeur of Rajput and Mughal art. Bose was born on 3 December 1882, to a middle-class Bengali family in Munger district of Bihar. His father Purnachandra Bose worked as a manager under the Raja of Darbhanga. His mother Kshetramonidevi was a housewife with a skill in improvising toys and dolls for a young Nandalal. Picking up this trait from his mother, Bose took an active interest in moulding wet clay and decorating Durga Puja pandals. This was perhaps the beginning of his artistic endeavours. In 1898, at the age of 17, he moved to Calcutta for higher education and took admission in the Central Collegiate School. 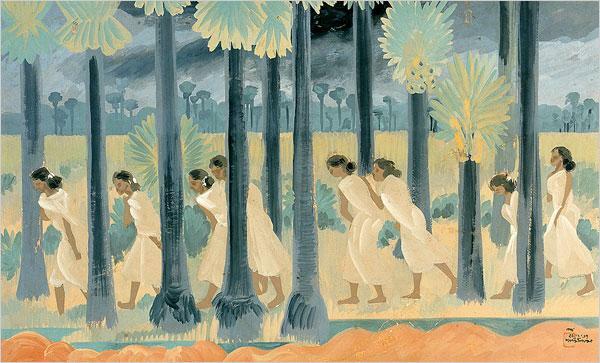 With a natural inclination towards art, Bose wanted to pursue it, but was not allowed by his family. After repeated failures, however, he attended the Calcutta School of Art. Bose was deeply influenced by the paintings of artist Abanindranath Tagore, nephew of Rabindranath Tagore, and wanted to learn the nuances from him. When he hesitatingly approached Abanindranath, the latter was surprised to see such magnificent paintings by an amateur. He then gladly accepted Bose as his one of his students. In his work, Bose chose not to follow the Western idiom. He embraced diversity in terms of style, technique of imaging, themes, idioms and methods. Although he incorporated several techniques, including European paintings, into his art, he never moved away from projecting Indian subjects. More often than not, his paintings were loved by the villagers as they often depicted their day-to-day lives. While his techniques were sophisticated, he kept his subject matter simple and that made him popular among critics as well as art lovers of India. Bose was among the founding fathers of linocut in India. 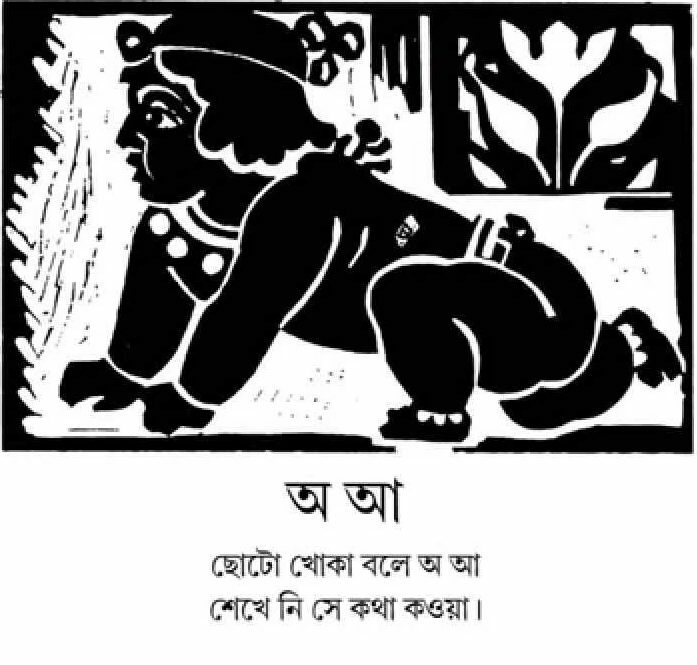 He experimented with this medium in the unforgettable illustrations of Sahaj Path — a Bangla primer for children, written by Rabindranath Tagore, which has not lost its relevance till this day. These works treat figures and objects as a solid, monochromatic piece, in most cases, while only a few white lines, details, situate and define them. In his art, Bose also played significantly with the use of blank space. Blank backdrops in work of art are present in the Bengali folk tradition, especially in Chouko Pat/Kalighat Pat. Bose’s distinctive use of void also draws from Chinese paintings. 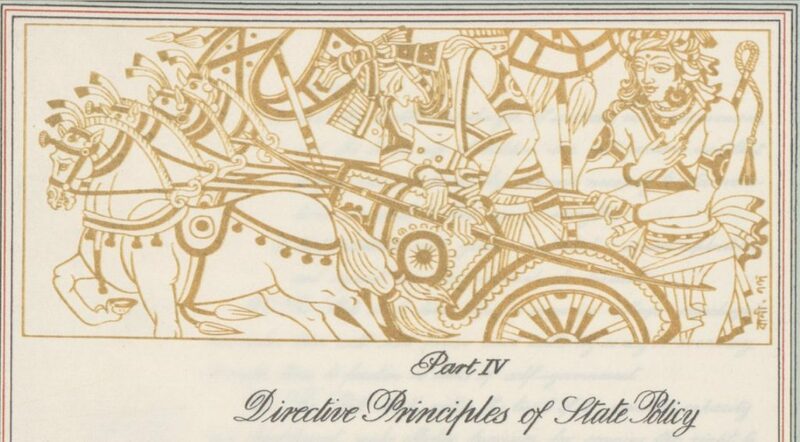 When the Indian Constitution was being drafted, the members of Constituent Assembly thought it would be appropriate if the document could somehow represent India’s journey and heritage. The Congress entrusted Bose with the task of illustrating the pages. He selected a team of artists who made 22 images for the manuscript of the Indian Constitution. Bose was also famously asked by Jawaharlal Nehru to sketch the emblems for the Government of India’s awards, including the Bharat Ratna. Eventually, Bose was himself awarded the Padma Vibhushan in 1954. He died on 16 April 1966 of natural causes.